Having your own backyard deck offers many benefits. Do you want to build a deck or patio but you’re not sure on how to accomplish this? You like the idea that building a deck or patio will add an attractive outdoor living space to your home. After viewing hundreds of deck and patio designs and landscapes you decide you want to build one. The main problem is that you do not know where to start. The thought of finding a designer and a professional deck builder, to fulfill your backyard deck from beginning to completion, seems overwhelming and intimidating to you. Here we provide some basic information to help you to begin a deck building project. The focus will be on the basic steps required to get a patio or deck construction project off to a strong start. It is becoming increasingly popular to “deck up” homes. An artfully constructed deck or patio adds usefulness as well as beauty to a home. Many deck contractors are available who can offer you a varied number of deck designs that can add that special touch to your courtyard. Prior to constructing a deck or patio, be sure to check with your local authorities about the applicable laws and codes. A deck is a structure that joins the house; usually it has a railing but no roof. A patio on the other hand, is an open paved area that abuts the home. Patios can typically be done in a Spanish style. While there is a great similarity between the two, patios require level ground with good drainage, whereas decks can be constructed over uneven of hilly terrain. 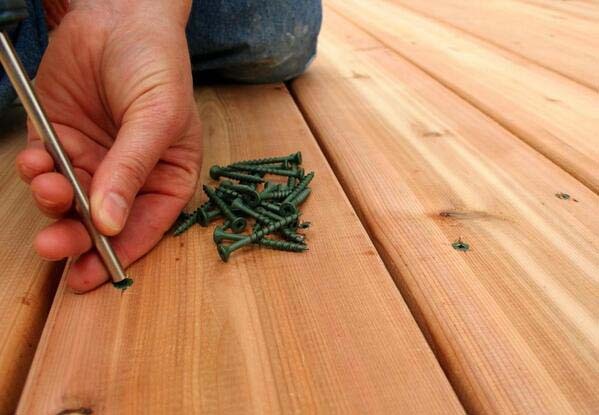 Before you start, make sure you have chosen a right decking material. You can find several articles on timber decking and advantages of building a deck of composite materials. A deck or patio is the perfect merging of indoor and outdoor environments. Patios and decks can drastically enhance your social life and family time. They can also add significant resale value to your home. Building a deck or patio is not as disruptive as indoor construction is. The mess and debris are left outside along with the dust. Problems will arise if you try to install a deck or patio without the proper knowledge or skills. Additionally, unpleasant situations can occur if you do not know how to screen the contractor you choose to build your deck or patio. In order for you to be able to choose a competent deck builder, you have to be armed with information. First of all, you need to know what you want. Then you need to know how to find the right deck builders. Having this information will make your deck project go smoothly. Home improvement companies have many areas of expertise, like concrete decks, wooden decks or patios as well as many others. Use this checklist to help you hire the most qualified deck builder for your job. Always ask for references. Go and look at the company’s prior installations. Actually visit the places they built the decks or patios. Ask to see photographs of their completed project. Check the Internet for additional company information. Many companies have web sites. This information will help you decide if the builder is qualified to work on your project. Call or write to the references they provide you. Be sure and contact every one. A reliable builder should be able to provide you with many references. Do not hesitate to ask for more information if you need it. Define the builder’s area of expertise and see if your project fits with their skills. Many patio and deck builders also provide other construction services such as finishing basements, enclosing porches, renovating kitchens and building sun-rooms. Ascertain the skills of your patio or deck builder and be certain they have the ability and experience required to work on your project. Get an approximate completion date and expect delays. Most companies will provide you with a free estimate, with no strings attached. Making changes to existing structures will add to the final cost of the project. Homeowners complain that it takes too long for contraction to begin. Plan ahead and be patient.